Sweet Pea Soup with Parmesan Foam, Beetroot Salad with fresh Greek Yogurt, or Roasted Lamb & Spring Onions, Anyone? Photo credit: J&G Steakhouse at The Phoenician. Launching on Wednesday, April 3, J&G Steakhouse at The Phoenician‘s award-winning Executive Chef, Jacques Qualin, is serving up Spring by the plateful with his new seasonal menu. Plus, enjoy J&G’s annual 3-course Easter Dinner Menu for $55++ per person on Sunday, April 21, from 5-10 pm. 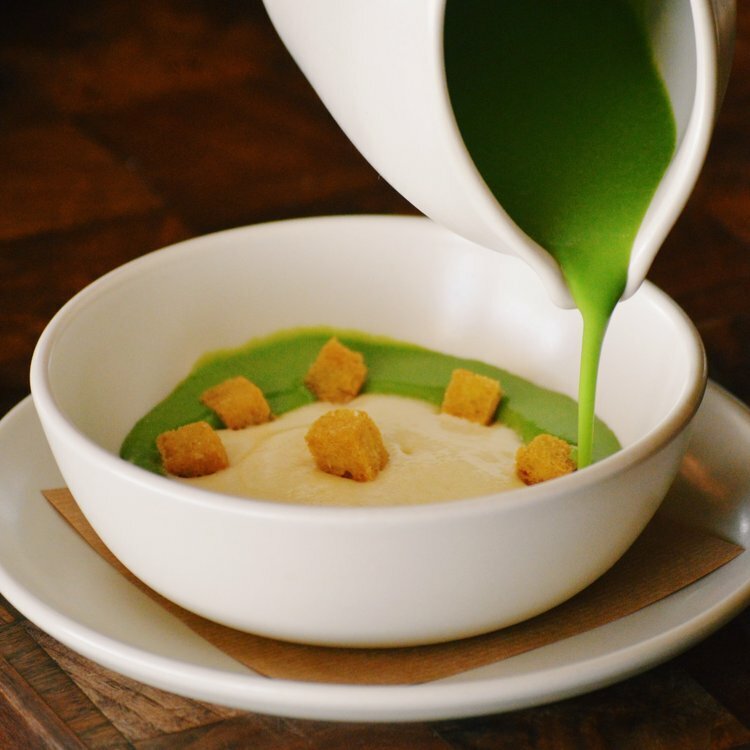 Chef Qualin has secured the freshest seasonal ingredients to craft spectacularly flavorful dishes from his recipe book, such as Sweet Pea Soup topped with creamy Parmesan foam, or Dungeness Crab Salad accented with asparagus ribbon, spicy mustard, and bright, bold melon juice. Even traditional Easter dishes such as Roasted Lamb Lion are reinvented thanks to Chef Qualin’s herbal-yet-hearty basil gnocchi gratin, with? delicate spring onion and savory sweet pepper juices. And for diners looking for full flavor with a lighter diet, both J&G’s Spring & Easter Menus also offer multiple (and delicious) Gluten Free and Vegetarian options, highlighted by the hearty new entree, Herb Crusted Cauliflower Steak with fresh mixed beans and cherry tomatoes. We are obsessed with Cauliflowers, so you know we’d go for this alone! 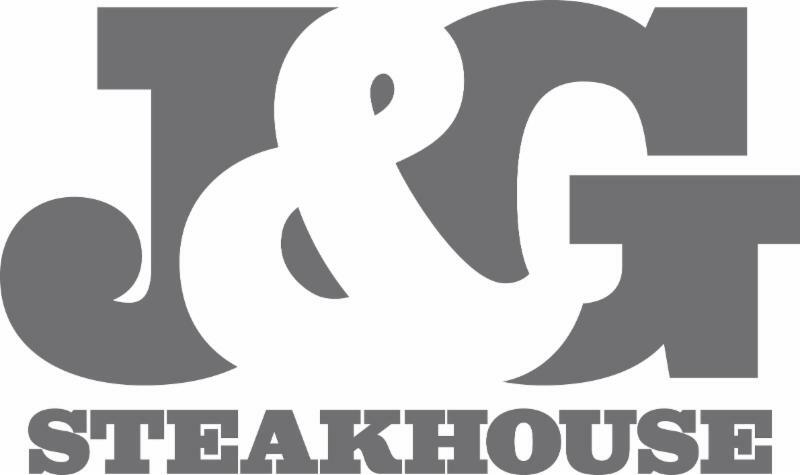 Best of all, this Easter Sunday J&G is also serving up its full regular dinner menu of award-winning steaks, seafood and more, alongside the 3-Course Easter Menu. Reservations are highly recommended: 480-214-8000 or www.jgsteakhousescottsdale.com. Overseen by Chef Jacques Qualin, who has led J&G’s kitchen since day-one, and longtime GM, Patrick Norton, J&G Steakhouse at The Phoenician has won countless national and local awards, including the OpenTable’s 2019 Diner’s Choice, Phoenix New Times’ “2018 Best Steakhouse,” the Arizona Republic’s 2018 “Top 100 Phoenix Restaurants” and has been a Wine Spectator “Best Of Award of Excellence” winner for 10 straight years. Prior to its 10th anniversary in Dec. 2018, J&G completed a stylish, summer-long refresh in preparation for another decade of dining excellence atop The Phoenician, overlooking the recently redesigned resort and the sweeping desert vistas beyond. J&G’s new Spring Menu is available nightly starting Wednesday, April 3. 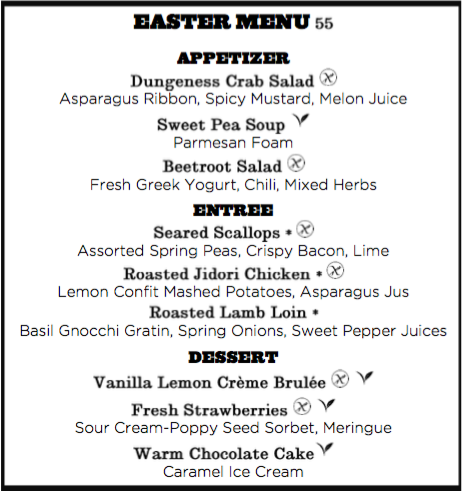 J&G’s 3-Course Easter Dinner Menu is available on Sunday, April 21, from 5-10 pm. Next Post Sushi Roku’s Has New Vegan Options and same favorite sushi + drinks.